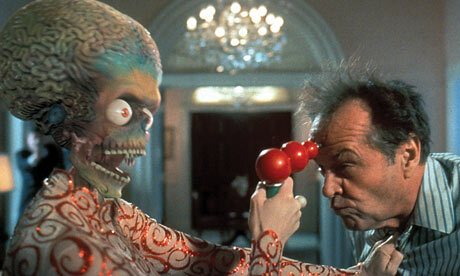 The White House has said it has no evidence that extraterrestrial creatures exist. Barack Obama’s administration made the declaration on Monday in response to feedback on its website, which allows people to submit petitions to which officials must respond if enough people sign. In this case, more than 5,000 people signed a petition demanding that the White House disclose the government’s knowledge of extraterrestrial beings. More than 12,000 signed another petition seeking formal acknowledgment of an extraterrestrial presence engaging with the human race. “In addition, there is no credible information to suggest that any evidence is being hidden from the public’s eye,” Larson wrote. However, he did not close the door entirely on a close encounter of an alien kind, noting that many scientists and mathematicians believe the chances are high that there is life somewhere among the “trillions and trillions of stars in the universe” – although the chances that humans might make contact with non-humans are remote. It is not the first petition to force the White House to engage on a somewhat offbeat topic since the “We the People” web page was inaugurated in September. Various petitions demanding the legalisation of marijuana have gathered more than 100,000 names, to which the White House has responded that marijuana is associated with addiction, respiratory disease and cognitive impairment, and legalising it would not be the answer. The administration has also addressed topics including gay marriage and student loan debt. Behind Fermi’s question was this line of reasoning: Since there are likely many other technological civilizations in the Milky Way galaxy, and since in a few tens of thousand of years at most they could have explored or even colonized many distant planets, why don’t we see any evidence of even a single extraterrestrial civilization? Clearly the question of whether other civilizations exist is one of the most important questions of modern science. Any discovery of a distant civilization, say by analysis of microwave data, would certainly rank as among the most significant and far-reaching of all scientific discoveries. The values used by Drake in 1960 were R = 10, fp = 0.5, ne = 2, fl = 1, fi = 0.01, fc = 0.01, L = 10,000, so that N = 10 x 0.5 x 2 x 1 x 0.01 x 0.01 x 10,000 = 10. That is, he estimated that ten such civilizations were out somewhere in the Milky Way. In the wake of these analyses, scientists proposed the Search for Extraterrestrial Intelligence (SETI) project, to search the skies for radio transmissions from distant civilizations in a region of the electromagnetic spectrum thought to be best suited for interstellar communication. But after 50 years of searching, using increasingly powerful equipment, nothing has been found. So where is everybody? They are here, or at least are observing us, but are under strict orders not to disclose their existence. Common rejoinder: This explanation (often termed the “zookeeper’s theory”) is preferred by some scientists including, for instance, the late astronomer Carl Sagan. But it falls prey to the inescapable fact that it just takes one member of an extraterrestrial society to break the pact of silence. They have been here and planted seeds of life, or perhaps left messages in DNA. Common rejoinder: The notion that life began on earth from bacterial spores or the like that originated elsewhere, known as the “panspermia” theory, only pushes the problem of the origin of life to some other star system. More controversially, Francis Crick has suggested “directed panspermia,” but few scientists take his theory seriously. With regards to DNA, scientists see no evidence in DNA sequences of anything artificial. They exist, but are too far away. Common rejoinder: Once a civilization is sufficiently advanced, it could send probes to distant stars, which could scout out suitable planets, land, and then construct additional copies of themselves, using the latest software beamed from earth. In this way the entire Milky Way galaxy could be explored within at most a few million years. They exist, but have lost interest in interstellar communication and/or transportation. Common rejoinder: As with item #1, this explanation requires that each and every member of these civilizations forever lacks interest in communication and transportation. And all it takes is one exception, and this “solution” falls. They are calling, but we do not recognize the signal. Common rejoinder: This may be, but this explanation doesn’t apply to signals that are sent with the direct purpose of communicating to nascent technological societies. And as with item #1, it is hard to see how a galactic society could enforce a global ban on such targeted communications. Civilizations like us invariably self-destruct. Common rejoinder: This contingency is already figured into the Drake equation in the L term (the average length of a civilization). In any event, from our experience we have survived at least 100 years of technological adolescence, and have managed not yet to destroy ourselves in a nuclear or biological apocalypse. Besides, soon we will colonize the Moon and Mars, and our long-term survival will no longer rely solely on planet Earth. The earth is a unique planet in fostering a long-lived biological regime that ultimately results in the emergence of intelligent life. Common rejoinder: Such arguments may have some merit, but the latest studies, in particular the detections of extrasolar planets (see below), point in the opposite direction, namely that environments like ours appear to be quite common. We are alone, at least within the realm of the Milky Way galaxy. Some scientists in this camp further conclude that we are alone in the entire observable universe. Common rejoinder: This conclusion flies in the face of the “principle of mediocrity,” namely the presumption, popular since the time of Copernicus, that there is nothing special about the human society or environment. Numerous other proposed solutions and rejoinders are given in [Webb2002]. Two key terms in the Drake equation are fp (the fraction of stars that have planets) and ne (the average number of planets that can support life, per star that has planets). Scientists once thought that stable planetary systems in general, and earth-like planets in particular, were a rarity. More recently, NASA deployed the Kepler spacecraft, which searches for planets circulating other stars by measuring small fluctuations in their light reaching earth. In some of the initial findings, announced in February 2011, 1325 planets have been found orbiting around the 150,000 stars surveyed. Of these planets, 68 are earth-sized, and most appear to be in the habitable region around their respective stars. Extrapolation from this data suggests that as many as 10% of all stars in the Milky Way may have earth-sized planets orbiting them [Hooper2011]. A separate team of scientists, using a telescope in Chile and a different detection technique (radial velocity), recently announced the discovery of 50 new planets orbiting distant stars, several of which are approximately the earth’s mass and near the habitable zone around their respective stars [Vastag2011a]. We should add, however, that many Kepler sightings in particular remain to be ‘confirmed.’ Thus one might legitimately wonder how mathematically robust are the underlying determinations of velocity, imaging, transiting, timing, micro-lensing, etc.? In short, among the factors in the Drake equation, two that have proven amenable to experimental study have been found to have reasonable values, although not quite as optimistic as Drake and his colleagues first estimated. With every new research finding in the area of extrasolar planets and possible extraterrestrial living organisms, the mystery of Fermi’s paradox deepens. Indeed, “Where is everybody?” has emerged as one of the most significant scientific questions of our time. Astronomer Paul Davies concludes his latest book on the topic by stating his own assessment: “my answer is that we are probably the only intelligent beings in the observable universe and I would not be very surprised if the solar system contains the only life in the observable universe.” Nonetheless, Davies reflects, “I can think of no more thrilling a discovery than coming across clear evidence for extraterrestrial intelligence.” [Davies2010, pg. 207-208]. [Davies2010] Paul Davies, The Eerie Silence: Renewing Our Search for Alien Intelligence, Houghton Mifflin Harcourt, New York, 2010. [Hooper2011] Rowan Hooper, “Exoplanet explosion sparks philosophical debate,” New Scientist, 21 Feb 2011, available at Online article. [Vastag2011a] Brian Vastag, “New ‘super-Earth’ that is 36 light-years away might hold water, astronomers say,” Washington Post, 12 Sep 2011, available at Online article. [Webb2002] Stephen Webb, If the Universe Is Teeming with Aliens… Where Is Everybody? Fifty Solutions to Fermi’s Paradox and the Problem of Extraterrestrial Life, Copernicus Books, New York, 2002. Aliens may destroy humanity to protect other civilisations….. When they see what a mess we've made of our planet, aliens may be forced to take drastic action. The latest batch of UFO files released today contain sightings of mysterious lights over the Glastonbury Festival, a “flying saucer” outside Retford town hall and the bizarre story of “Mork and Mindy’s” visit to East Dulwich. Defence experts were called in to examine a 2004 photo of a “flying saucer” taken outside Retford town hall in Nottinghamshire. The series of images were captured by Alex Birch and having ruled out lens flares and aircraft, he contacted the Ministry of Defence, who sent them to the Defence Geographic and Imagery Intelligence Agency (DGIA) in July 2004. The files also contain first-hand testimony of retired RAF fighter controller Freddie Wimbledon and retired MoD official Ralph Noyes, on the famous 1956 UFO incident at RAF Lakenheath in Suffolk. Mr Wimbledon remembers the RAF scrambling fighter planes to intercept a UFO seen on radar and by observers on the ground. The UFO reportedly latched onto to a fighter plane, “following its every move” before speeding off at “terrific speed”. Staff involved were sworn to secrecy, while Mr Noyes recalls being shown gun camera footage of the UFOs taken from aboard the aircraft at a special MoD screening in 1970. One of the more bizarre tales from the files is the 2003 sighting of “worm-shaped” UFOs “wriggling around in the sky” over East Dulwich in London. A mother and daughter reported it to the police but according to testimony she later gave to the MoD’s UFO desk, the two police constables who attended the scene were joined by two men dressed in “space suits and dark glasses who called themselves Mork and Mindy”. The woman complained of being made “to look foolish”. In a letter dated January 21 2003, the woman says “your men have fed us with a lot of rubbish, presumably to make us look foolish and our story unbelievable, which they have succeeded in doing”. Police told the MoD they sent two ordinary PCs to the address but “they could not see anything in the sky and concluded it was possibly a reflection of a star and a street light in her window”. Another report describes mysterious lights seen moving 300ft above the Pyramid stage at the Glastonbury Festival on June 28 2003. There are also details of a UFO sighting over a music festival at Llanfyllin, Wales, in July 2006. A file also contains a number of sightings reported to the MoD during the summer of 2006, that describe formations of orange lights in the sky. 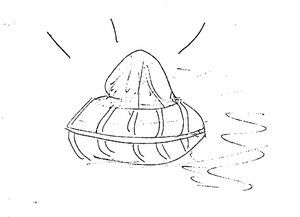 These appear to be observations of Chinese lanterns, released at parties and public events, the experts concluded. Other incidents include UFOs spotted by the pilot and passengers of an aircraft over the Channel Islands in 2007 and F-16s scrambled to intercept UFOs over Belgium in 1990. The resumption of operations at California’s Search for Extraterrestrial Intelligence Institute (SETI) was made possible by donations from celebrity supporters including Jodie Foster. Following an appeal on the website of the Allen Telescope Array project, named after its first financial backer, Microsoft co-founder Paul Allen, donations from more than 2,200 supporters – known as SETIStars – meant the institute easily reached its $200,000 initial fund-raising goal. 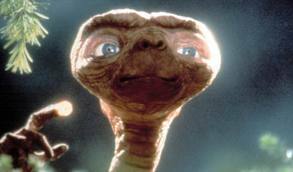 Miss Foster has made several films about alien life, including Contact in 1997, about an SETI astronomer who makes radio contact with extraterrestrials. She is due to star as the head of an alien planet in District 9 director Neill Blomkamp’s latest blockbuster Elysium, which is planned for release in 2013. She has also indicated that she plans to direct a science fiction film once her current commitments have ended. In a post on the SETIStar website, Miss Foster said she was supporting it because “we need to return it to the task of searching newly discovered planetary worlds for signs of extraterrestrial intelligence”. “In Carl Sagan’s book/movie Contact, a radio signal from a distant star system ends humanity’s cosmic isolation and changes our world,” she said. Another SETIStar is Larry Niven, the science fiction writer who penned books including the multi award-winning Ringworld, The Magic Goes Away and The Draco Tavern. “Finding intelligent tool users would reset all parameters. All of human history would look like a preface,” he said on the SETIStars website. Astronomers and astronauts are also supporting the project, including former Apollo 8 crewman Bill Anders, who said on the website that it would be “absolutely irresponsible” not to search for evidence of extraterrestrial life. Humans have been seeing strange things on the surface of Mars for centuries. From the 1700s up through the present day, widespread fame has been available to anyone able to produce even the slightest bit of flimsy evidence that there’s Martian life. The most recent example was this week’s supposed revelation that a secret Mars base, inhabited either by humans or Martians, can be seen in a photo of the Red Planet’s surface taken by an orbiting spacecraft. In 1784, Sir William Herschel, a famous British astronomer, wrote that dark areas on Mars were oceans and lighter areas were land. He speculated that Mars was inhabited by intelligent beings who “probably enjoy a situation similar to our own.” Herschel’s theory prevailed for a century, with other astronomers claiming that vegetation could even be observed in the lighter-colored regions taken to be land. Fortunately for Herschel, his other contributions to astronomy — which earned him the honor of being the namesake of two powerful observatories — were great enough to keep his theories on Martians near the bottom of his biography. During Mars’ close approach to Earth in 1877, the Italian astronomer Giovanni Schiaparelli peered through his telescope and observed grooves or channels on the Red Planet’s surface. The Italian word he used for them, “canali,” was translated to “canals” in English, leading many in the English-speaking world to conclude that Mars had intelligent life that had built a system of waterways. 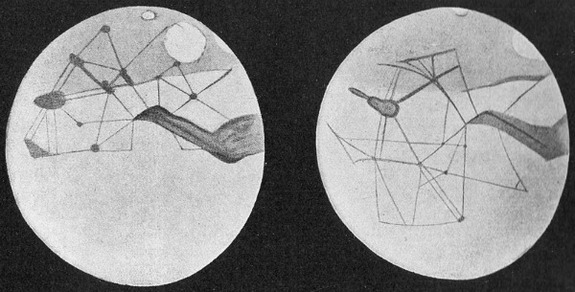 That misconception was popularized by an astronomer named Percival Lowell, who in 1895 presented drawings of the canals in a book, titled “Mars,” and argued his full theory in a second book, “Mars as the Abode of Life,” in 1908. The inaccuracy was further fueled, historians say, by excitement over the construction of the Suez Canal, an engineering marvel of the era completed in 1869. In 1921, Guglielmo Marconi, inventor of the first radio telegraph system, claimed to hear signals that he thought might be Martian. The next year and again in 1924, at times when Mars swung relatively close to Earth, the U.S. government asked all radio stations to go silent so that they could listen out for any Martian transmissions coming our way. But ET radio was silent. It all started back in 1976, when NASA released an image of an interesting mountain on Mars, taken by the Viking 1 spacecraft, complete with a caption that described the formation as appearing to have eyes and nostrils. 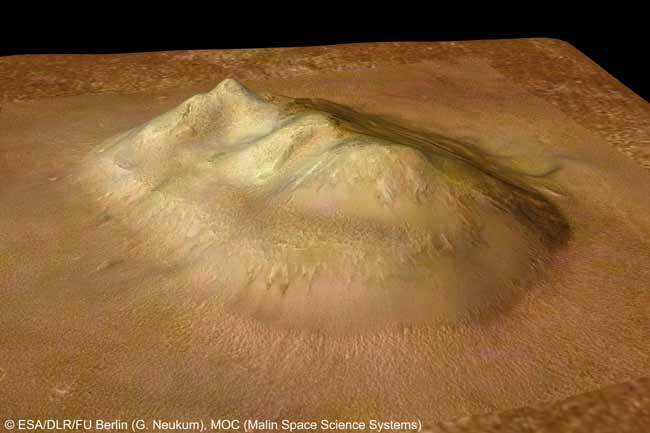 More than thirty years later, the “Face on Mars” still inspires myths and conspiracy theories, with many people believing it to be an artificial structure built by an ancient Martian civilization. From a bird’s-eye view, shadows on the mountain really do make it look like a face. From other angles, however — angles seen in photos taken by the Mars Express Orbiter, among other spacecraft — the mountain is clearly just that, and doesn’t look much like a face at all. NASA'S Mars Exploration Rover Spirit captured this westward view from atop a low plateau where Spirit spent the closing months of 2007. 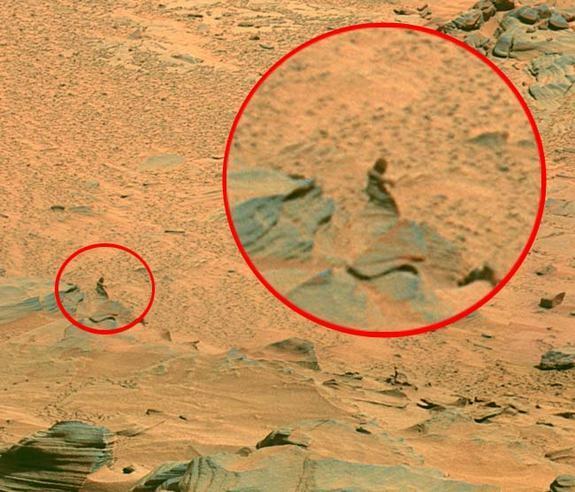 In a photo snapped by the Mars rover Spirit in 2007, there appears to be a human being wearing a robe and kneeling in prayer. It is, of course, a rock, and merely morphs into human form in our brains because of pareidolia, as explained above. This week, yet another smidgen of evidence arose that, on first examination, seemed to support the notion that there’s life on Mars. In a viral Youtube video, a self-described “armchair astronaut” claimed to have identified a human (or alien) base on Mars, which he dubbed Bio Station Alpha. He found a somewhat mysterious linear structure that appears to be on the Red Planet’s surface as seen in Google Mars, a new map program created from compiled satellite images of the planet. Astronomers immediately identified the structure — in actuality just a white, pixelated streak — as an artifact deposited by a cosmic ray in the image sensor of the camera that snapped the photo. “With space images that are taken outside our magnetosphere, such as those taken by orbiting telescopes, it’s very common to see these cosmic ray hits,” said Alfred McEwen, a planetary geologist at the Lunar and Planetary Lab at the University of Arizona and the director of the Planetary Imaging Research Laboratory. Cosmic rays are energetic particles emitted by the sun. They deposit electric charge in camera pixels as they penetrate them, momentarily saturating them and creating a white streak in any photo snapped at the time. When the raw image file was converted to a JPEG for use in Google Mars, McEwen said compression probably caused the cosmic ray artifact to become more rectangular and “Bio Station”-like. This was subsequently proven to be the case, when the original source photo that Google used was identified. It contained an obvious cosmic ray artifact, which, when processed, turned into the structure that the “armchair astronaut” mistook for a Mars base.